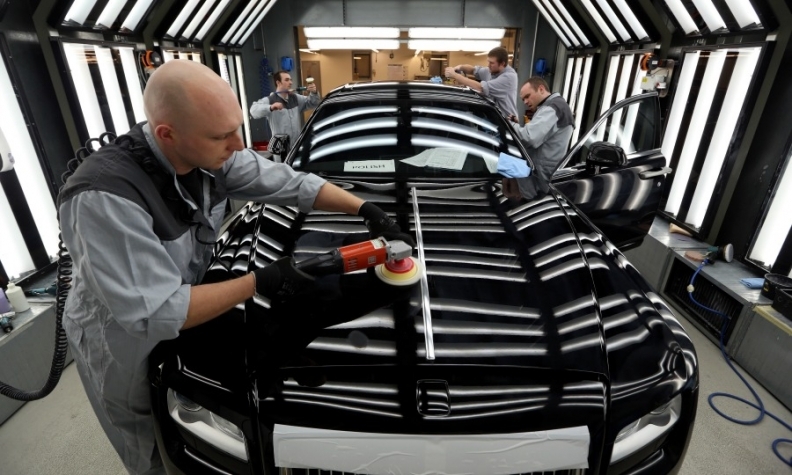 Rolls-Royce builds cars at its UK plant in Goodwood, England, shown. LONDON (Reuters) -- BMW Group has written to its UK-based Rolls-Royce employees to warn about the risks the company would face if the UK votes to leave the European Union at the upcoming referendum, the BBC reported. In a letter obtained by the corporation, the German automaker sets out what it sees as the benefits from the UK's membership of the 28-member bloc and the problems it would face if the country votes to leave on June 23. BMW said it was not clear that an independent UK would be granted a free trade deal with the EU, meaning tariff barriers could lead to higher costs and higher prices. It also said that the free movement of people between the UK and the EU had led to the rapid transfer of knowledge between Rolls-Royce and BMW, helping to improve the skill level of the UK workforce. Prime Minister David Cameron, who is campaigning to keep the UK in the bloc, has called on big business to explain the benefits of EU membership. In February, the bosses at more than a third of the UK's biggest companies joined forces to warn that leaving the EU would put the economy at risk. However, many companies held back from signing the letter, saying they wished to remain neutral in such an important debate. Several big companies were criticized in the run up to the 2014 Scottish independence referendum when they urged Scots to stay in the UK, with some voters saying they would boycott those firms considered to be interfering in the country's political debate. The report follows comments made by BMW CEO Harald Krueger at the Geneva auto show that said a UK vote to exit the European Union would cloud the future of the automaker’s UK brands, which include Mini, along with Rolls-Royce.